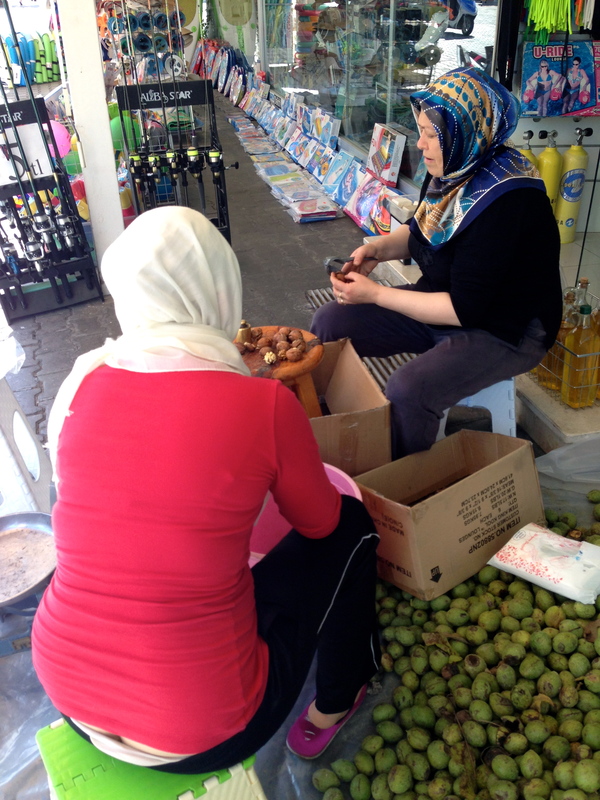 Walking the in Gocek’s main road (Turkey), two women sit and work at cracking walnuts, a process that takes time. The process is completed by both men and women as they alternate from their regular business as store keepers selling Marine supplies. There are two types of Walnuts, English from Persia and the Black from North America. 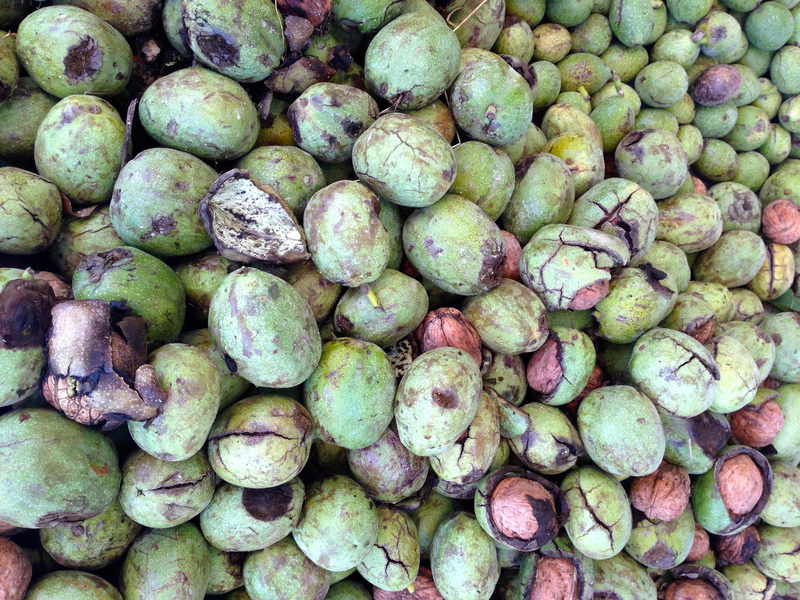 The picture above is fresh Persian Walnuts from Turkey. 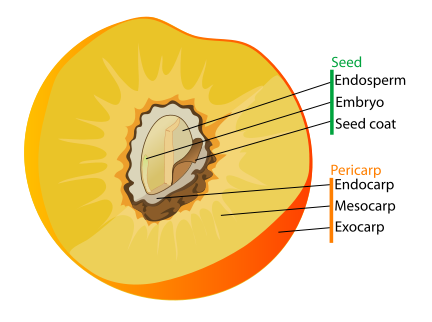 The green husk is inedible and after peeling it, you find an edible seed. The walnut is a single seeded stone fruit and has excellent health benefits and can be eaten raw or dried. In this case we tried them raw (fresh) and over a few days they became dried and crispy. When eating them raw, the Turkish vendor suggested we peel the outer skin (seed coat) and remove the germ.